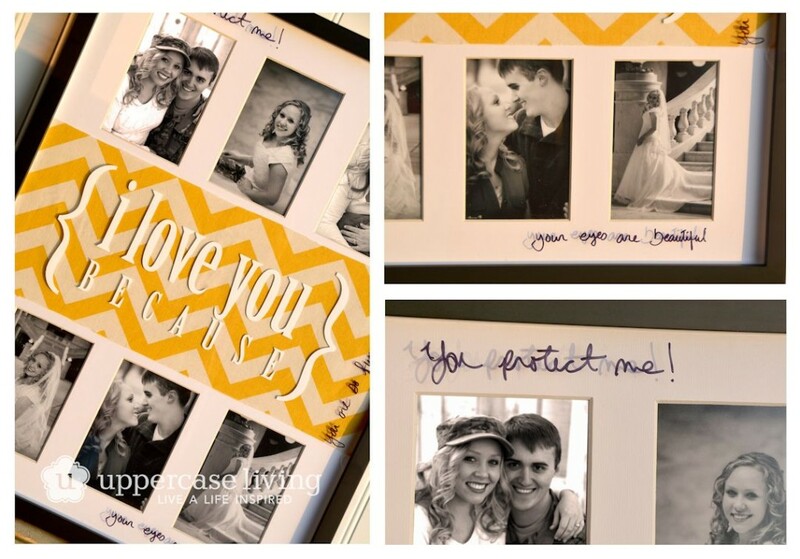 I Love You Because… This is the perfect gift for newlyweds or for the couple celebrating an anniversary – or just a wonderful way to let your family know you care! All you need is a collage picture frame and the Uppercase Living I Love You Because vinyl. Lovely this idea! Did you use plastic frames from the dollar store? Thanks! The frames in this post were from Walmart, but you could definitely use ones from the dollar store. We also have a multi pack available if you are interested in multiples. And of course, let me know if you have any other questions.